The mass extinction that obliterated three-fourths of life on Earth, including non-avian dinosaurs, set the stage for the swift rise of frogs, a new study shows. Unexpectedly, their analyses showed three major lineages of modern frogs—about 88 percent of living species—appeared simultaneously, evolving on the heels of the extinction event that marked the end of the Cretaceous Period and the beginning of the Paleogene 66 million years ago. Previous research suggested a more ancient origin of many of these modern frog groups. The researchers then used fossil records to translate genetic differences between frog lineages into dates at which they likely diverged from one another. 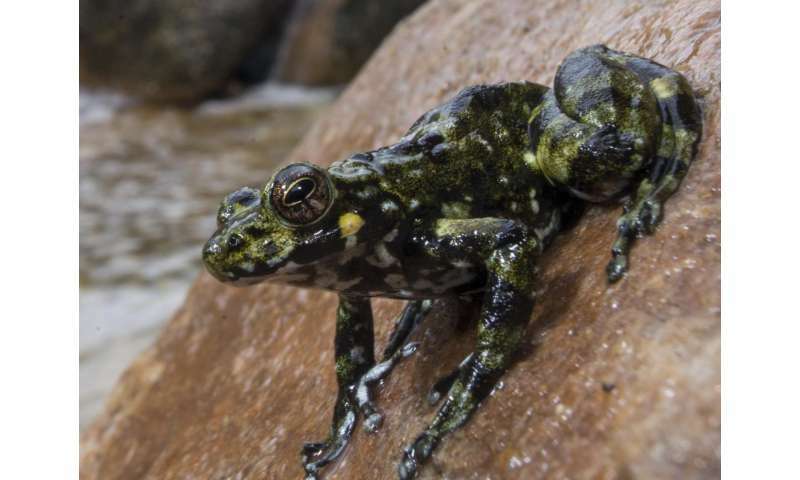 When the analyses pointed to a simultaneous evolution of the three major frog clades—Hyloidea, Microhylidae and Natatanura—the researchers initially eyed the finding with skepticism, said Peng Zhang, a corresponding study author and professor in the department of biochemistry and molecular biology at Sun Yat-Sen University in China. "Looking at bird or mammal phylogenies, we can see a reflection of Earth's history—its climatic and geologic events," he said. 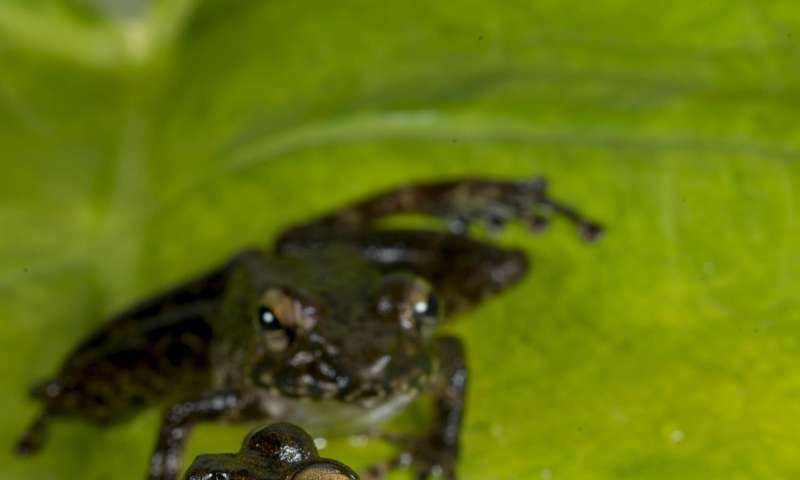 "You'd expect these major events—mass extinction and the breakup of continents—would have impact on frog evolution and that divergences between major lineages would relate to those in some respect. We see that in this phylogeny." hmmm, to a normal person this doesn't sound right. If it was an extinction event, you shouldn't have suddenly more species appearing, but less. And they appeared suddenly. Definitely not evolution, which supposedly takes millions and billions of years, but probably doesn't happen at all, even with trillions of years. These scientists have to dig a bit deeper into this mysterious event. (You have account for the author's familiarity with the subject matter. Read the PNAS Paper in the "More information" paragraph at the end of the article. Might provide clearer insight into the actual research. 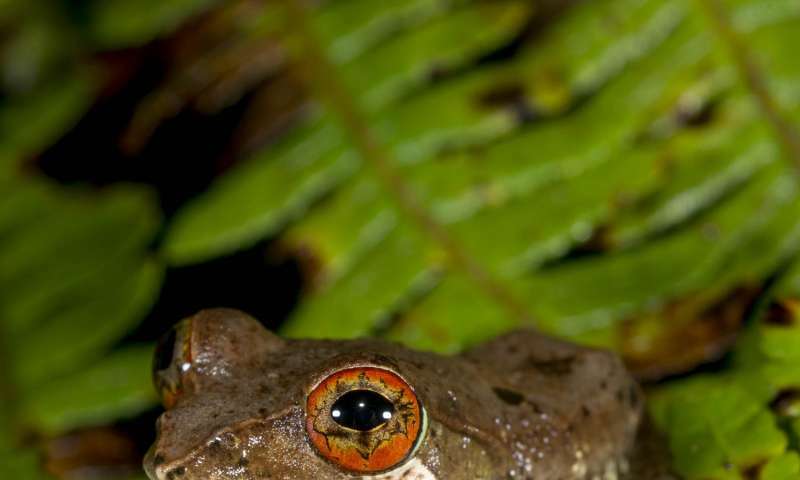 Amphibians are probably the most sensitive to changes in their environment. Yet we are told that after the meteor impact that turned the world into a toxic waste dump for years frogs actually expanded their domain. If so then the environmental damage done by the meteor impact must not have been as bad as once thought.